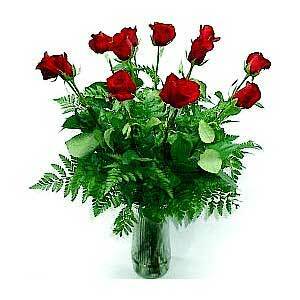 This arrangement of signature long- stemmed red roses is accented with greens and arranged in a clear glass vase. A can't miss choice for any occasion. Size may vary.